What are the top landmarks in Denver? Catch an event at Pepsi Center during your trip to Denver.You can attend a sporting event while in the area. Find out what's happening in Colorado Convention Center during your trip – a top convention centre in Denver. You can attend a sporting event while in the area. With a visit to Union Station, a popular shopping spot in Denver, you can search for that perfect souvenir. You can attend a sporting event while in the area. Catch an event at Coors Field during your trip to Denver.You can attend a sporting event while in the area. When you visit 16th Street Mall, a popular shopping spot in Denver, you can enjoy some retail therapy. You can attend a sporting event while in the area. Discover Denver is at its most dynamic in this central district, which has cool craft breweries, bars, galleries, boutiques and entertainment venues. The Cherry Creek neighbourhood welcomes visitors, with its convenient options for restaurants. LoDo is a welcoming neighbourhood with many tasty options for bars and restaurants. In addition to its architecture, the neighbourhood has many charming qualities. Stapleton is a welcoming neighbourhood. Denver West is a neighbourhood that welcomes all visitors. Capitol Hill is a neighbourhood that welcomes all visitors. The neighbourhood has many charming qualities, with its architecture among the more noteworthy. Epic ways to ring in the Denver solstice. Opens in a new window. The weirdest winter festivals in Colorado. Opens in a new window. What’s new in Denver. Opens in a new window. 24 hours in Denver. Opens in a new window. Colorado ski resorts update. Opens in a new window. Staff is very professional and friendly. Breakfast at 0300.. wow very cool for early travelers. After a full day on the slopes you have earned yourself the right to be spoiled. Book a luxury hotel in Denver’s mountains where you can cuddle up in front of the fire, treat yourself to a deep tissue massage at the spa and enjoy the most delicious cuisine. In this city they really knows how to spoil their visitors. At the hotel's spa facilities, you'll be rewarded from top to toe with inviting steam baths and rejuvenating body wraps. Whether you're in town to test the ski slopes or the city, or challenging yourself to tackle those mountains, treat yourself to a spa treatment on your Denver holiday. 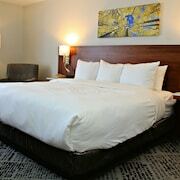 If you are booking yourself a Denver hotel, you are about to make one of the best decisions of your life. There are not many cities in the world that are so close to such beautiful mountains - and there are few mountain ranges that are as beautiful as the Rocky Mountains. Many Denver hotels were sprung up due to this incredible location under these majestic natural monuments. Hotels in Denver, Colorado offer the best of both worlds; it's not often you can combine urban and rural wonder as you can in Denver. 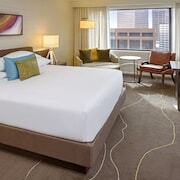 It's also not hard to find top rated and romantic hotels in Denver. Check out the list of hotels in downtown Denver; most of the accommodation there are boutique hotels that offer a sparkling romance around every corner. An additional advantage is that these hotels are located near the Colorado Convention Centre. If there is any event there, you’ll be within easy reach. Here you are also close to the Denver Centre for Performing Arts, known to be one of the finest art centres in the country. If you are looking for luxury hotels we recommend the northern districts. All Denver hotels that offer the best hotel suites tend to sell out quickly, especially during the popular seasons. If you plan to go at peak times, book your holiday as far in advance as possible. If you are looking for a resort for your Denver holiday, we recommend that you search just outside the city. Urban becomes rural very quickly around here, which means more space for top resorts. You’ll also be closer to the University of Denver and Coors Field. No matter where you end up, Denver is an unforgettable place that offers amazing things to see and do for all travellers. Explore Denver with Expedia's Travel Guides to find the best flights, cars, holiday packages and more!